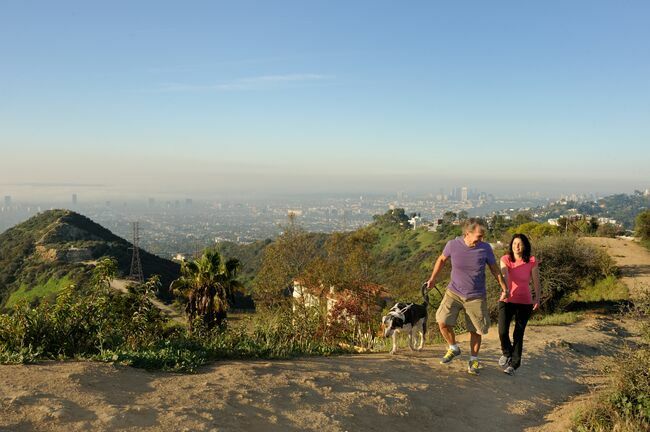 Los Angeles residents relish the natural beauty of their beaches and mountains, but too many families live too far from a park to make playing outside a part of everyday life: the city ranks only 65th on The Trust for Public Land’s Parkscore™ index. 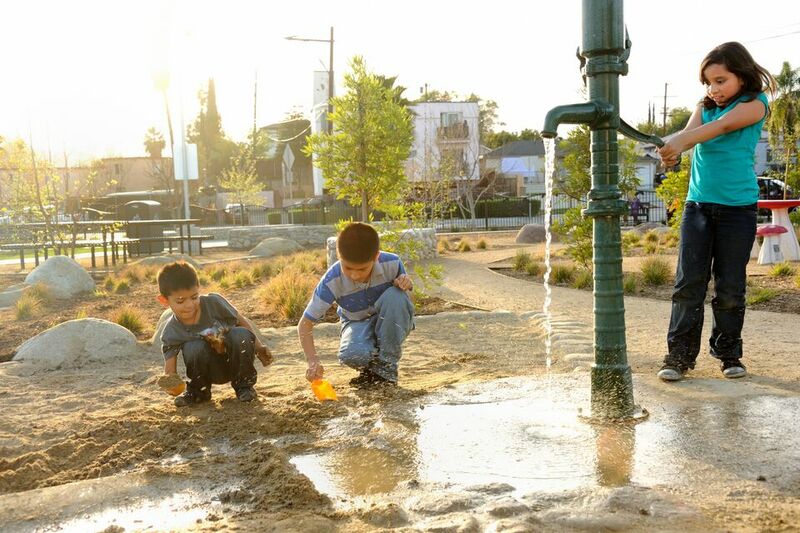 That’s why we were thrilled when L.A. voters approved Measure A in November, creating the county’s first dedicated source of public funding for parks and conservation. Along the way to the win, the campaign drew support from a huge cast of characters, from public officials and neighborhood leaders to everyday residents. Of course, this being Los Angeles, “everyday residents” included notable actors like Ed Begley, Jr. Known for his comedic roles in This Is Spinal Tap, Portlandia, and Arrested Development, Begley is also one of Hollywood’s original environmentalists. He joined the campaign for Measure A as a spokesman, hoping to help his fellow Angelenos understand the benefits of parks in their communities. Begley took a short break from working in his backyard garden to chat about the promise of Measure A and what it’s like to be green in Tinseltown. "Millions of people in L.A. don’t have a green space to call their own," says Begley. "Which makes public parks the best and often only place that that everyone can connect with nature, recreate, relax, and spend time with their families. "Photo credit: Ed Begley Jr.
What do you have coming up in your garden? This time of year you can grow onions, carrots, green, leeks, and all that kind of stuff. So I was just pulling some weeds and keeping my winter crops coming. One of the reasons I love living in Los Angeles is because you can grow food here year-round. Why did you decide to speak up in support of Measure A? Speaking of my garden, I’ve been lucky to be able to own a home here, with a front and backyard. But I know that’s a relative rarity in Los Angeles. Millions of people here don’t have a green space to call their own—which makes public parks the best and often only place that everyone can connect with nature, recreate, relax, and spend time with their families. Measure A was the right strategy at the right time, and we were thrilled that people had the wisdom to pass it. Other than gardening, how do you like to connect with nature? Once in a while we have the opportunity as a family to travel to national parks. That’s something from my childhood that I’m hoping to pass on to my daughter. National park road trips were my first nature memories as a kid: I remember Yosemite, Yellowstone, Mount Rushmore, the Grand Canyon, Zion … we must have gone on a dozen such journeys, and I will always remember the thrill of encountering these places for the first time. Now we live here in Los Angeles, which is a city that has some fabulous, world-class parks. Griffith Park is great, Wilacre Park is amazing. I love Franklin Canyon, Runyon Canyon, Point Mugu, Malibu Canyon, Topanga State Park … that whole area up there near Malibu Canyon is beautiful. I like going on picnics, strolls, and bike rides with my wife and daughter in various parks around town. You’re also a committed bike commuter—to the extent that you’ve been known to show up to the Oscars on your bike. What’s it like relying on a bike to get around Los Angeles? I deliberately moved into an area called Studio City that’s pretty walkable and bikeable—it’s right near work, banks, post offices, shops, and restaurants. For most everything else, I take public transit. I very rarely need to venture out on the freeways in a vehicle. But I realize I’m fortunate in that way, and improvements to our bike and public transit infrastructure have the potential to make a huge difference for quality of life in this region. Those improvements are already underway. There are many more bike lanes now than there were even just a few years ago. Bike shares are proliferating. Buses have bike racks, and bikes are now allowed on the subway. We’re not where we need to be, but we’ve made great progress toward making active, sustainable transportation more available to more people. When did you start calling yourself an environmentalist? I didn’t realize I was an environmentalist until the first Earth Day in 1970. That’s when I first heard about the goals of this new movement, like clean air and water, and started to learn how my choices as an individual were wrapped up in that. I started recycling and composting and riding my bike more, I became a vegetarian, and I bought an electric vehicle—way back in 1970. But none of that was totally new terrain for me. My dad was a conservative who literally liked to conserve: he turned off the lights, we saved water, we saved string, we saved tin foil. He was the son of Irish immigrants, he had lived through the Great Depression, and even though he may never have used the word environmentalist, he was one—because he cared about the earth and minimizing waste. And he got me into Boy Scouts, which gave me a chance to see nature up close and personal. I thought it was something worth protecting, so I set about involving myself in that as soon as I could. Does living in a LEED Platinum home, growing your own vegetables, and getting around by bike make you something of an oddity in Hollywood? People used to think it was odd. Back in 1970 people thought it was odd, in the 90s people still thought it was odd … but more recently people don’t think it’s so odd. They see their energy bills skyrocketing, for one thing, and for another, they’ve seen the results of conservation and environmental protection. Air quality in Los Angeles is a great example. We have four times the cars that we did in 1970, and millions more people, yet the air is so much cleaner than in my youth. That’s because we passed laws advancing clean air protections: catalytic converters on cars, combined cycle gas turbines instead of the dirty power plants, more efficient homes, energy-saving thermostats, double-pane windows, and all the rest. The cost of doing nothing was vast: elevated rates of emphysema, asthma, and lung cancer, for starters. What we spent to develop clean technologies pales in comparison to what we saved on healthcare spending. I think we’ll be able to say similar things about Measure A spending on parks when we look back in another generation. We’ll be glad we made the investment we did. I applaud Ed's efforts. I remember recycling in the 70's as well and my friends thought I was nuts. Now I will be 75 in a few weeks and I still turn the water off brushing my teeth, turn off the lights when not in use, keep the temp good for heat and air, and many more things. Many of my friends still think I am odd, but I don't care. With what happening in DC, we must all start working for the environment, or we won't have one to save!! I applaud you, Mr. Begley, for your early environmental stewardship as well as your fantastic body of acting /directing work. You not only talk the talk, you've always walked the walk! Bravo! Anytime you want to come up to Santa Barbara and spread the word, just let me know!